Since 1989, our McLean-based maid franchise has upheld the reputation of being one of the most experienced and well-established in the Maid Brigade network. Our deep wealth of experience includes a solid foundation of tenured management and professionally-trained housecleaners. What does it take to get to this level? It takes a maid company whose employees enjoy what they are doing. 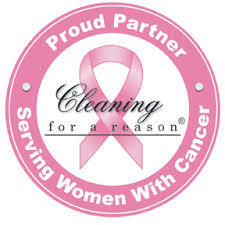 From our customer service staff to our housecleaners we all adhere to the same core house cleaning principles. These principles, combined with local ties to the community, and customers who enjoy referring the neighbors to us, make us the most trusted residential cleaners in the area. #1: Trust is the foundation. Many of our newest house cleaners are referred from a long-term employee. With this shortlist of cleaning pros, we scrutinizes all background data thoroughly before licensing, bonding, and insuring the new housecleaners. Then we team the new McLean maids with veteran employees for in-depth, hands-on training and testing. Our philosophy is simple, if we can trust our maids, then you can, too. #2: Dependability makes customers happy. We have been successful because we make YOU and YOUR NEEDS our priority. The entire staff takes a lot of pride in being on time, and our house cleaners show up well-prepared, and ready to begin cleaning your home when promised. #3: Continued quality takes continuous training. Anyone can give you an excellent clean now and again. But consistent quality means always improving performance. So we thoroughly train all our Maid Brigade’s McLean maids to give you the best clean in the business, and we hold ongoing training sessions every week. #4: A clean home is a healthy home. We offer a Certified Green Clean system as part of our residential cleaning process. Green Clean is your assurance that our McLean maids use green processes, equipment and products when cleaning in your house. If you’d like to learn about green house cleaning services, just click the Green Clean Certified logo. 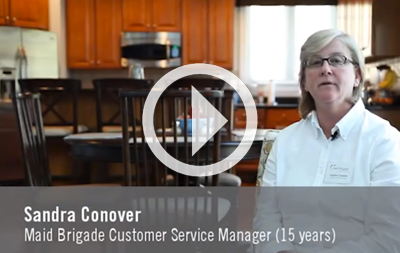 #5: Real service means going the extra mile. We provide professional, local and bi-lingual customer service staff from 8 a.m. to 5 p.m., Monday through Friday. You may also leave a message or send them an email – a representative will get back to you within 24 business hours. Call today to make an appointment – we can even accommodate most service requests for last minute or those needed on SATURDAYS. I'm not usually a testimonial writer, however, after 7 years of excellent service I felt I must take a moment to say "thank you" in a special way. As a Navy family we have lived in many places and I have had various types of cleaning help along the way. Absolutely nothing has compared to the wonderful and courteous service I have received from Maid Brigade over the last 7 years. My team was ALWAYS here on my scheduled day and worked tirelessly until my 5 bedroom home was sparkling. They held the key to my house for the entire 7 years and I trusted them completely. No, I did not hide my jewelry box or any other valuables. Neither did I feel that I needed to be here. I loved coming home to my clean house. When it was necessary to change my schedule they accommodated me completely and pleasantly with the utmost respect….I recommend Maid Brigade to anyone who wants steady, reliable and courteous residential cleaning. Areas Services: All of McLean as well as Vienna, Dunn Loring, Merryfield, Tysons, Great Falls, and Falls Church.